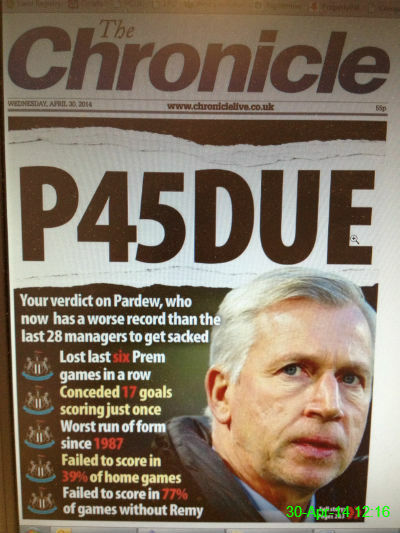 Local Newcastle newspaper the Chronicle finally joined in with what the fans have been saying for months, and printed a front page headline indicating manager Alan Pardew should be fired. 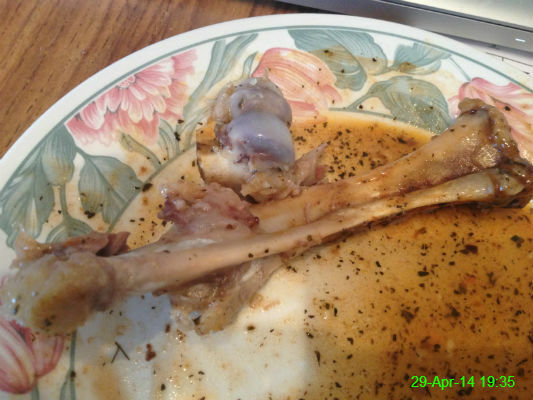 I don't eat a lot of meat straight off the bone, but lamb shank is the major exception. 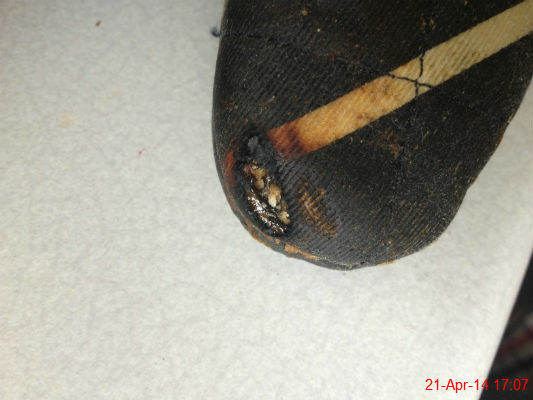 As well as the dreaded shopping trip, yesterday included an 11.5 mile walk and this, combined with the heels I wore on Saturday night, left my feet feeling pretty sore. 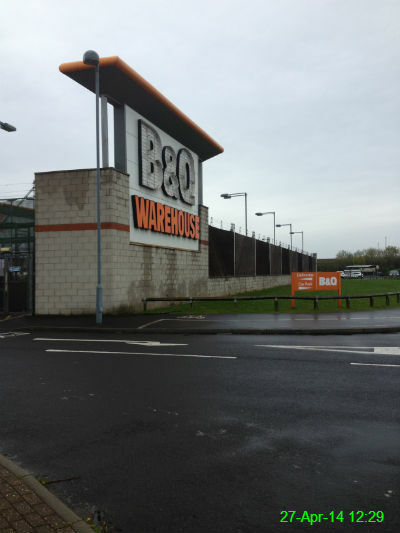 I try not to make a habit of going to places like B&Q on a Sunday afternoon but the idea of washing my hair in the bath every morning didn't really appeal so we popped along to buy the necessary parts to fix our shower. We went to Ramside Hall to celebrate Catherine and James' wedding. 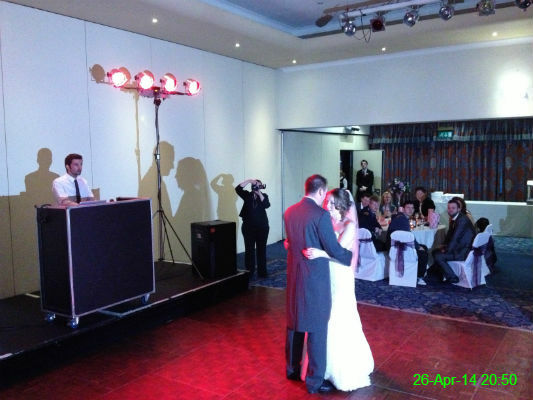 It was an excellent party and I was pleased to be part of their special day. 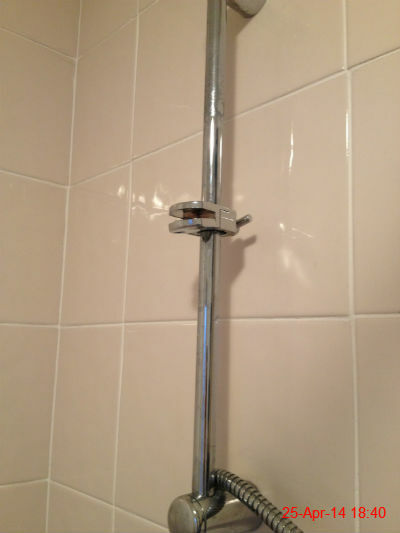 I don't know what this is called other than "bit that holds the shower head up", but it's broken. Having this happen on a Friday was a fairly typical end to a poor week, but nevermind.. I had a nice bath instead. 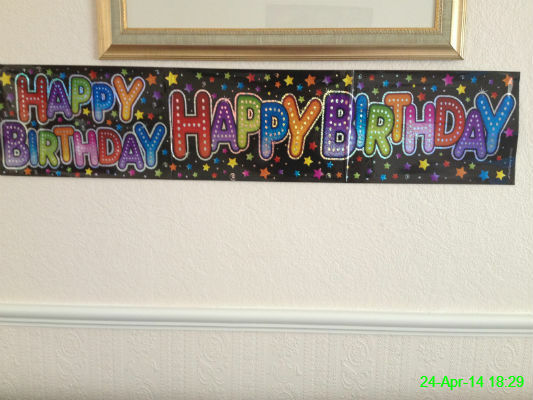 It was Kathy's birthday, so what can only be described as "the entire family" went round for tea. It was a lovely but hectic evening! 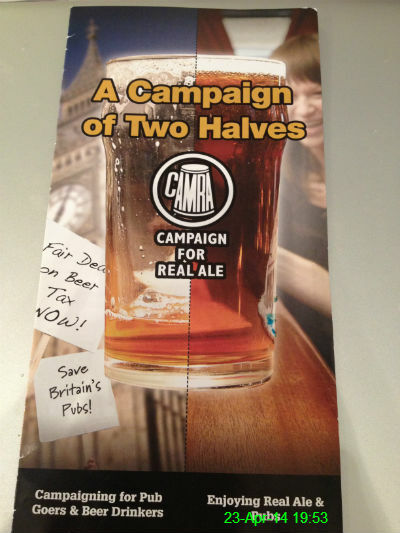 After picking this leaflet up in Wylam over the weekend I've been giving serious consideration to joining CAMRA, but then I keep remembering the membership fee would chip into the disposable income I have available for actually purchasing nice ales and ciders. 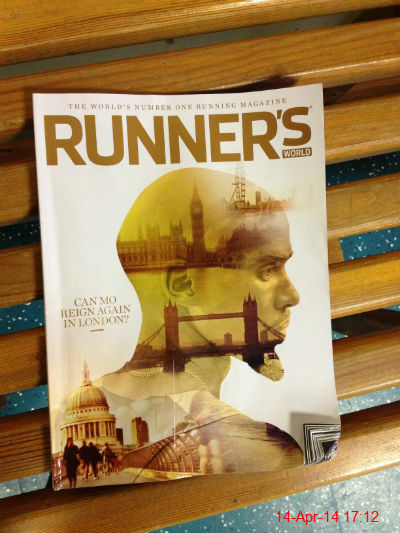 Hmm, maybe I'll join if I win the lottery. Until then I'll just have to continue to enjoy nice drinks in a more freestyle manner. 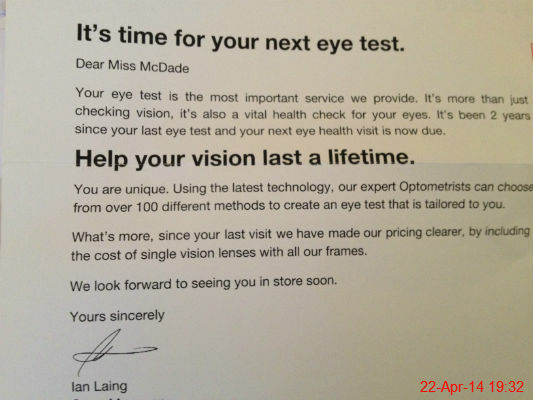 I got a letter to remind me it's been two years since my last eye test. I'm not looking forward to the prospect, since having my eyes tested ranks somewhere between making small talk at the hairdressers and cleaning the oven in the list of things I don't particularly like doing. In a moment of clumsiness I managed to cook part of one of our oven gloves. They've seen better days anyway so I think a new set will definitely be needed! 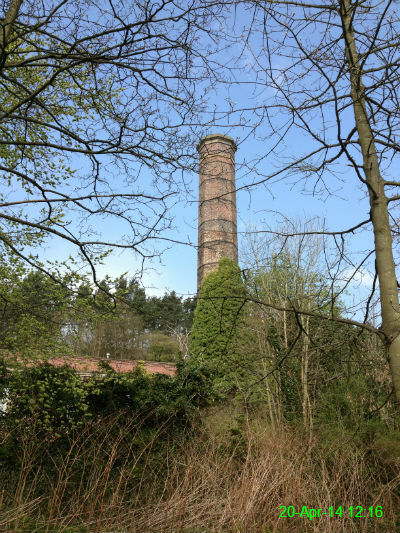 I'm not sure exactly what this building is but after walking just under 3.5 miles from Prudhoe I was pleased to see we'd arrived at Wylam, our destination for Easter dinner. James couldn't resist putting on Christopher's jacket when he wasn't looking. It was a bit of a tight fit. 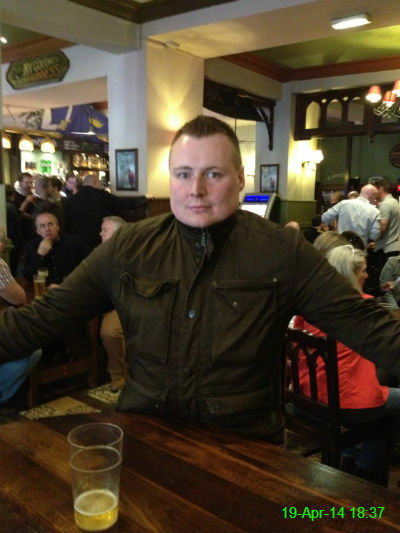 We went to see a few of the Northern League staggered fixtures today. 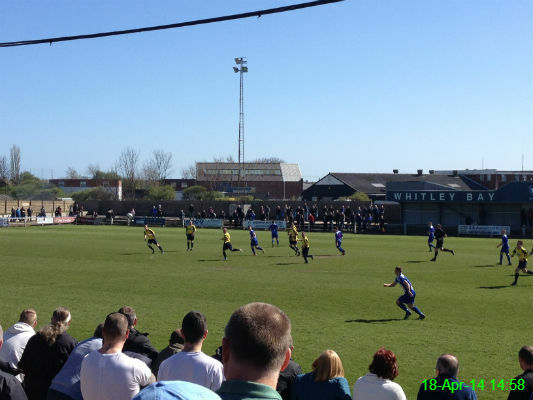 Our local side West Allotment Celtic lost 3-0 at North Shields and we then made our first trip to Whitley Bay's ground to see them beat Newcastle Benfield 2-1. It was a nice way to spend the early part of the day and even resulted in some sunburn! 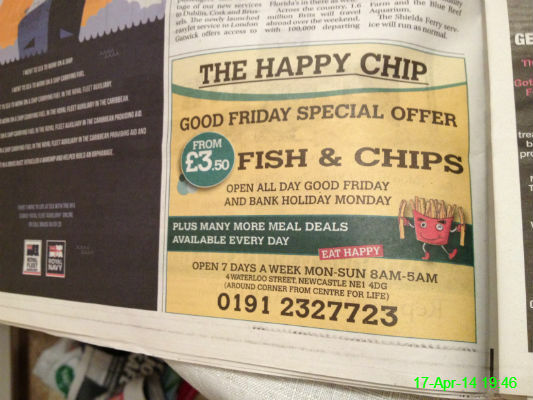 The Happy Chip is known by clubbers across Newcastle for being somewhere they can buy an assortment of unusual items alongside their takeaway, so the idea of going there for fish and chips seems pretty depressing. Good Friday is tomorrow, so I'm hoping I get a better offer. 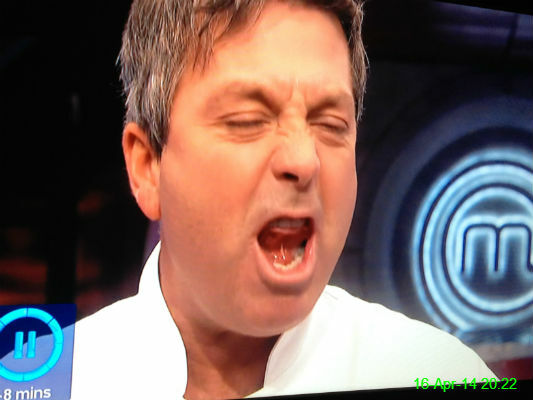 I inadvertently paused Masterchef while John was pulling a slightly unfortunate face. With the sky looking so blue, I couldn't resist going for another walk on my lunch break. 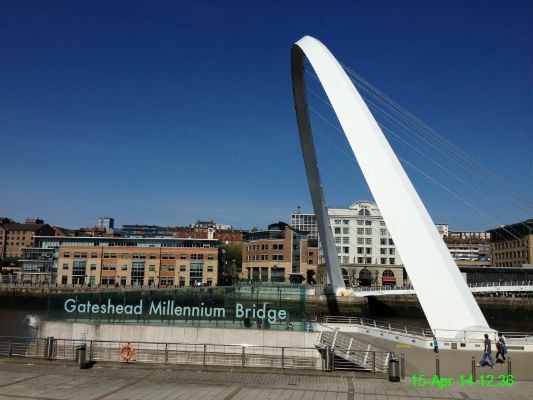 This time I went over the Millennium Bridge to Gateshead and then, unfortunately, back across the river to work. 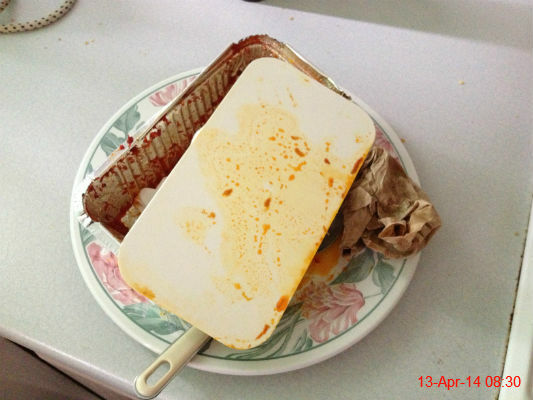 After last night's curry there were a few dishes to wash and lots of tidying up was required. 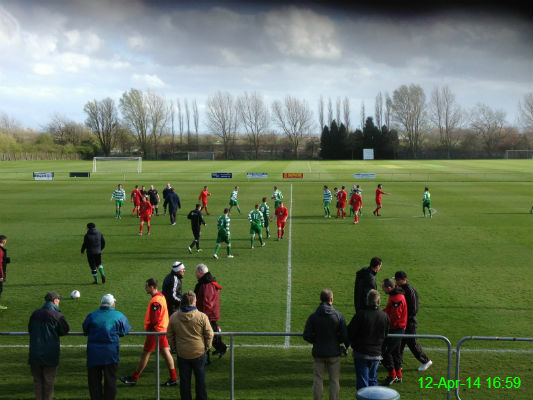 We were at Whitley Park to see West Allotment Celtic seal promotion to Northern League Division 1 with a 1-0 win over Washington. 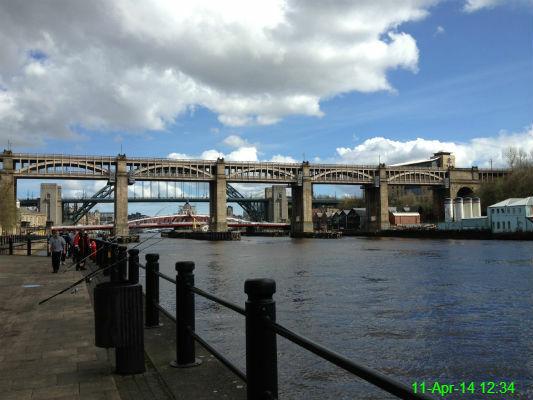 It was a lovely spring day so I spent part of my lunch break walking along the Quayside, where there were a lot of people out fishing. 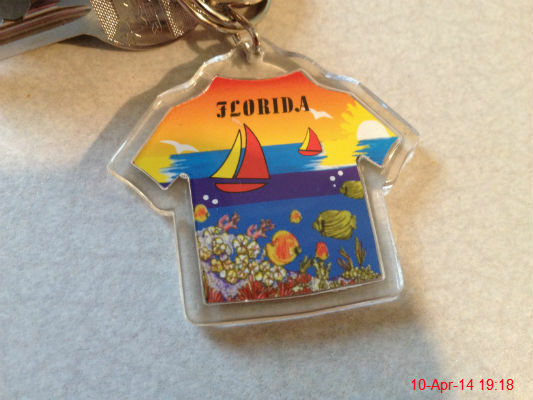 I haven't been to Florida myself but a kind colleague brought this keyring back for me years ago, and I found it again when clearing my desk out recently. It's being put to good use now since the keyring I was using decided to snap. 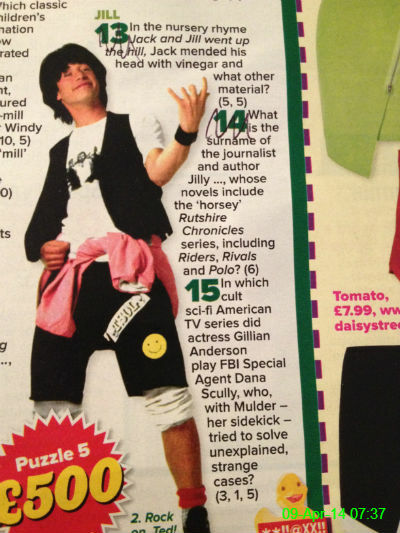 I was pleased to see a "Jill" section in the puzzle I did over breakfast this morning.. until I saw a question which was actually about a Gillian. The cheek! 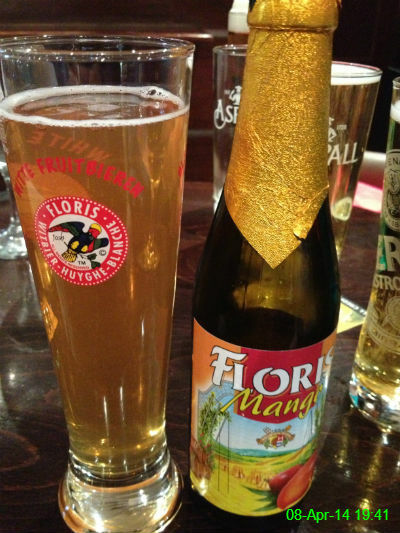 We had a work drinks evening and my "one for the road" was a mango wheat beer, which was extremely tasty. 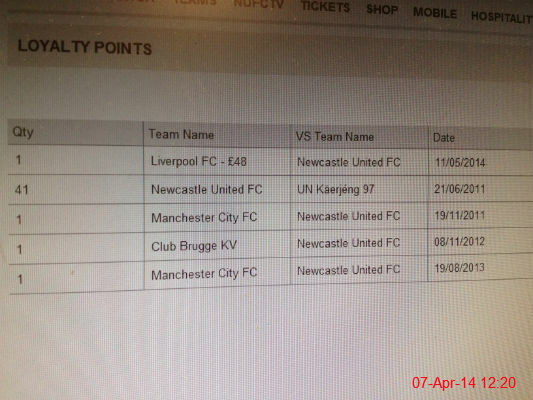 I bought a ticket for the final Newcastle match of the season, away at Liverpool. This takes my loyalty points total to 45 but I'm fairly certain this breakdown isn't correct! 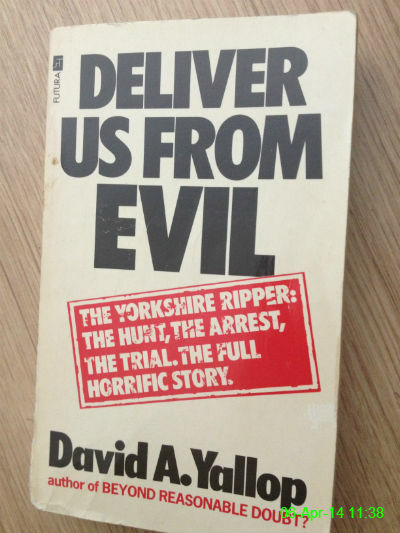 I'm reading Deliver Us From Evil which is about the Yorkshire Ripper. 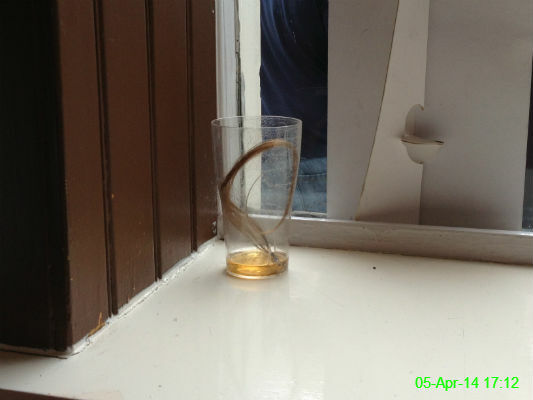 5 April 2014: Hair of the Dog? I found this a slightly unpleasant sight in O'Neills! 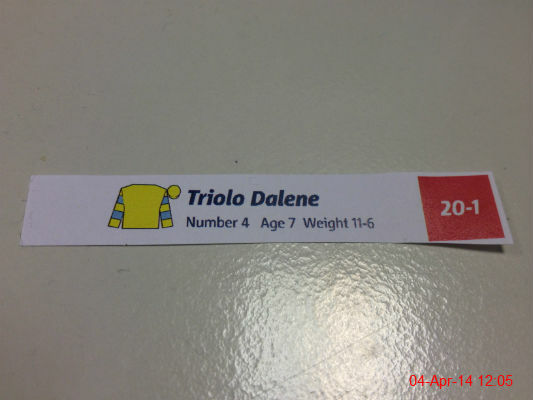 Tomorrow is the Grand National and I got Triolo Dalene in the sweepstake at work. Come on! 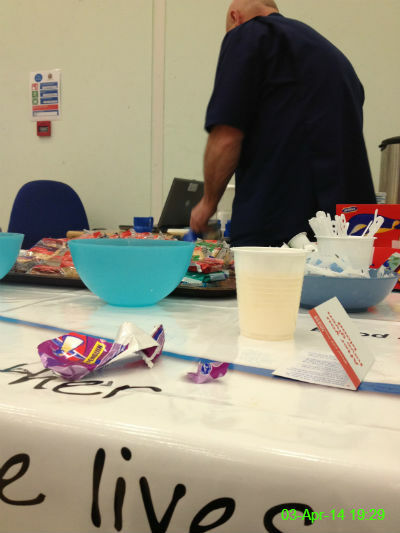 The best part about donating blood is the drink and biscuits afterwards. Today I filled the bag pretty quickly (4 minutes, 12 seconds) and opted for orange juice and a Penguin. 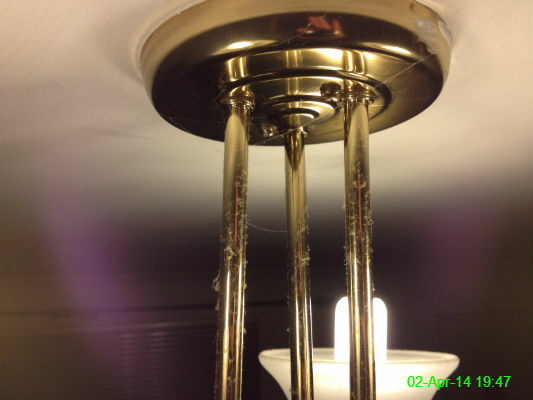 I should probably clean the light fitting in my living room. Anyone fancy doing it for me? 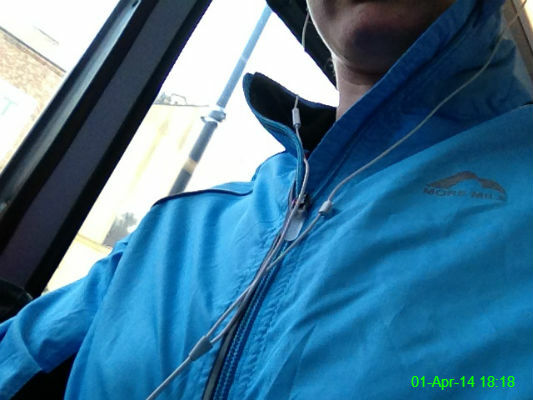 Another new purchase from this weekend: a light jacket for running/the gym.